If you’re refreshing the main body colour of your house whether with paint or new siding, it’s important to take all of the existing fixed elements into consideration to determine the best colour options. Painting or residing the exterior of your house is a big expensive job. The colour you choose is a big commitment and you want to be sure it’s perfect BEFORE it goes up. The colour you choose for the body of your house, whether it’s stucco, fiber-cement (Hardie board) or vinyl siding, will be determined by all the other fixed elements on your home. . Or, if the body of your house is paintable, you need to know what else comes into play when you’re choosing a new colour. Maria will help you get it just right. Please note: often when you change the body colour of your home, the trim colour also needs to be reconsidered, so I recommend the Exterior Bundle here. I have horizontal siding and vertical shakes – should they be the same or should they be different? I finally get to change my siding/stucco – where do I start to find the right colour? I’m building a new house and my contractor needs a decision on the siding/stucco – can you help? My siding/stucco colour takes up so much space on my house – can you help me get it right? I want to update the colour of my house, how important is the colour of my windows that I can’t change? Believe it or not, even your neighbour’s house can have a say in what the colour of your house should be! If this feels like too big a decision for you, I can help. I know what needs to be considered and what may need to be changed in order to get you a colour that will make your house happy. 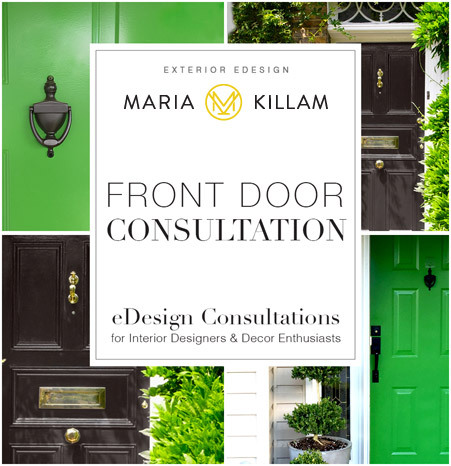 Once you purchase this Exterior Colour Solution you’ll receive a prompt email with a fill-in-the blank form so you can describe your question and give us the relevant information I need. This email will also give you instructions on how to send me photos, so I can get a good sense of the area in question as well as least one photo of your entire home. Take the photos and complete the form and send them to us.